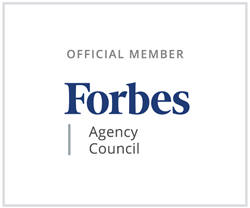 The Forbes Agency Council is an invitation-only community for executives in successful public relations, media strategy, creative and advertising agencies. I am honored to be selected to join the exclusive Forbes Agency Council. I look forward to the opportunity to contribute business and marketing insights to Forbes.com, and to connect and collaborate with other marketing agency leaders. Prism Global Marketing Solutions, an Arizona-based inbound marketing agency, is proud to announce that Elyse Flynn Meyer, President & Founder, has been selected as a member of the Forbes Agency Council. The Forbes Agency Council is an invitation-only community for executives in successful public relations, media strategy, creative and advertising agencies. "I am honored to be selected to join the exclusive Forbes Agency Council. I look forward to the opportunity to contribute business and marketing insights to Forbes.com, and to connect and collaborate with other agency leaders," says Elyse Flynn Meyer.